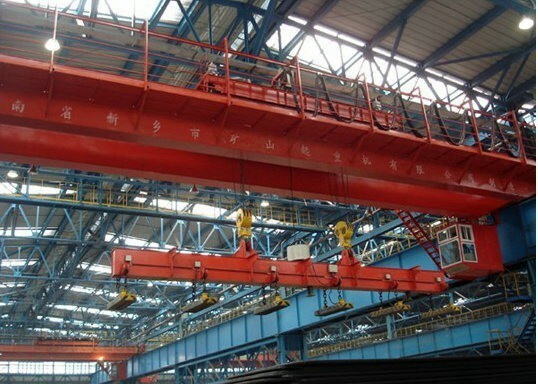 Electromagnetic bridge crane with removable magnetic disk, especially for In the metallurgical factory in the indoor or open space between the fixed intertrocessing handling and handling of magnetic black metal products and materials (such as steel ingots, steel, pig iron) in the machinery factory, the warehouse is also used to transport steel, Scrap metal, scrap, iron and other materials. 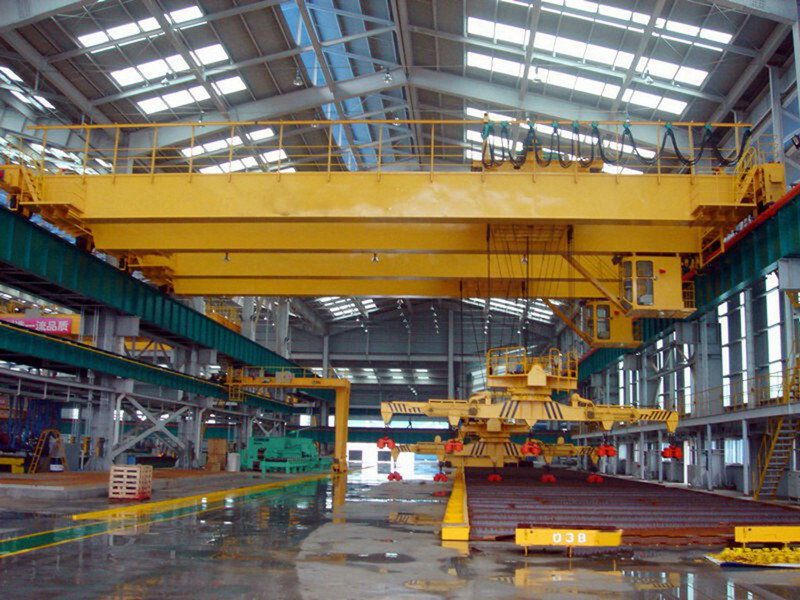 Lifting equipment Electromagnetic bridge cranes belong to the heavy (A6) working system, the crane includes the disk self-weight. 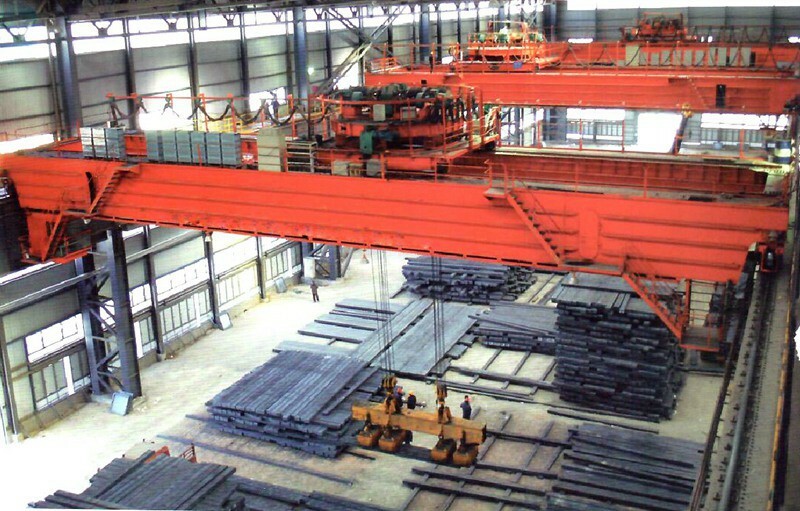 The machine consists of box-shaped bridge, cart operation mechanism, car, electrical equipment, electromagnetic disk composed of five parts, all the institutions are manipulated in the control room, when the open air with rain equipment. Lifting equipment The basic structure of the electromagnetic bridge crane is the same as that of the crane bridge crane. 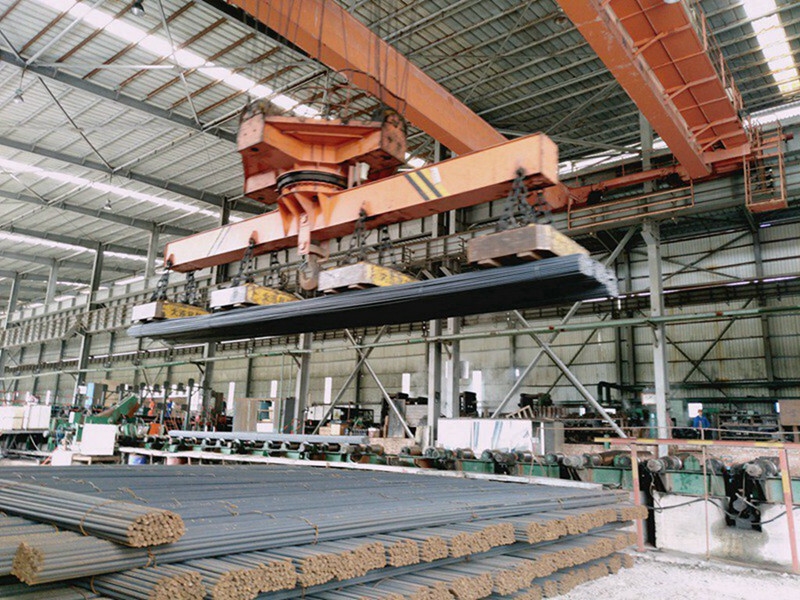 The difference is that a DC lifting magnet (also called electromagnetic sucker) is attached to the hook, which is used to lift the ferromagnetic metal And its products. Usually through the bridge in the tower on the electric generator or installed in the driver's room within the SCR DC box will be AC power into DC power, and then through the small frame in the special cable reel, the DC power supply with The flexible cable is sent to the lifting electromagnet. 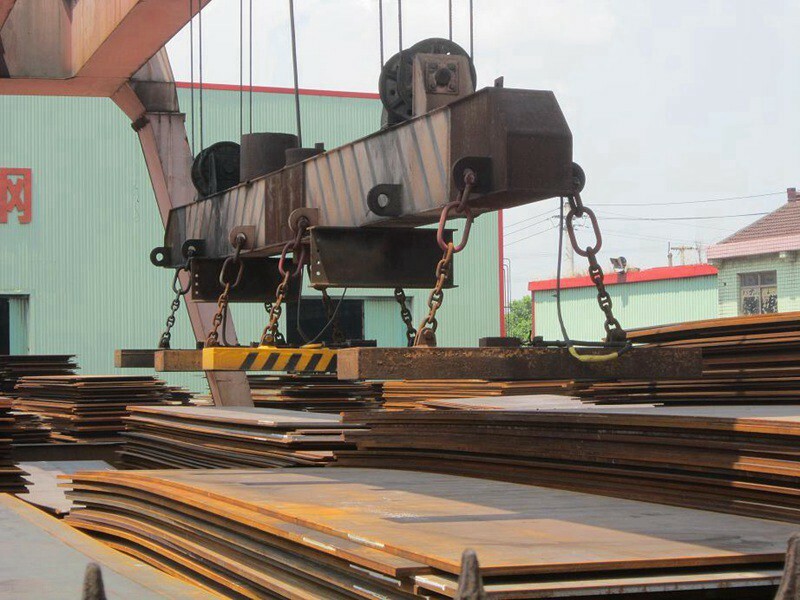 These heavy-duty cranes take hot slabs, billets or blooms from the continuous casting machine conveyor and transports them to the storage area or feeds them to the rolling mill. 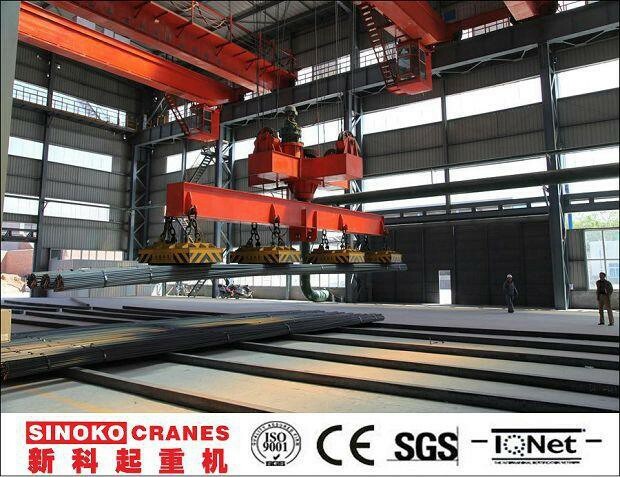 They are high-speed production cranes designed with the same concern for safety and reliability as charging and ladle cranes.